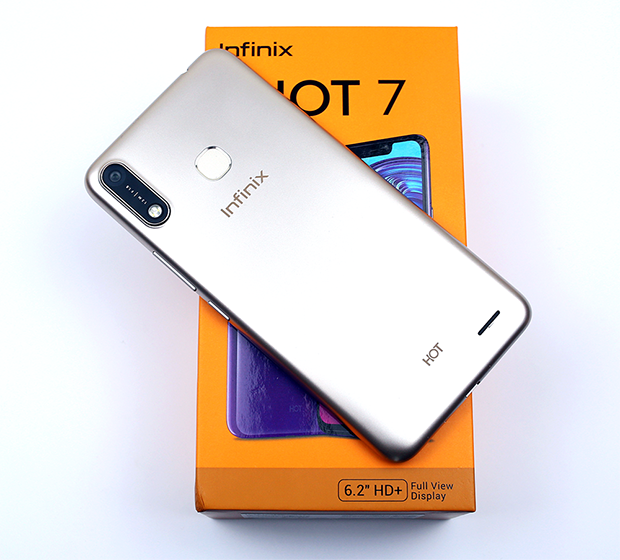 Infinix Hot 7 which recently held its premiere in market as a low budget phone lifted an impression of quality with affordability for users. By selling 5000 units of the phone at a glance was a profound case to be recorded in Infinix’s history. It has price convenience, android features and metallic looks in combination creating the preference shift for users. There are many budget phones available at similar price values as that of Infinix Hot 7’s but some features have made it willingly win. Since this is a low cost phone yet many advanced phone features are installed in it, it does not necessarily mean that the features will work super and fast. These many features which are available in the Hot 7 might just lack in delivering quality. Talking about Hot 7’s design and display, the massive 6.2 inches screen is appealing enough. The appearance is gorgeous and more convincing from what you are expecting from a 15k worth phone. Graphical display is vivid in energy and is charged up by resolution containing 720 x 1500 Pixels (~268 PPI) pixel Density. There is a built-in fingerprint sensor and face recognition feature adding glamour to its usage. 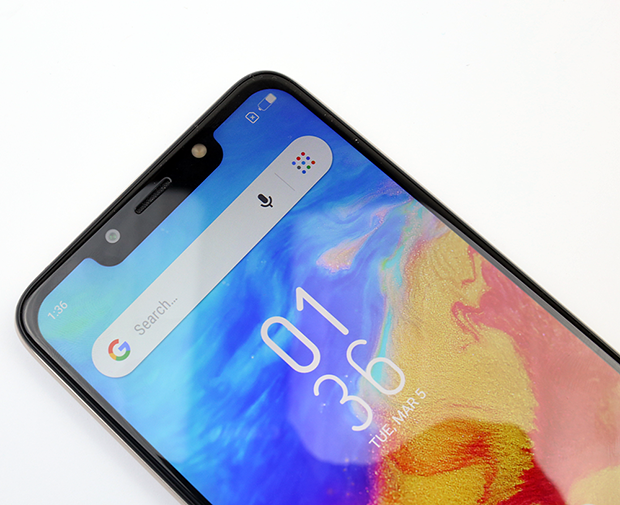 Fingerprint reader and face recognition for screen unlocking are not really snappy but take a moment delay before getting to work, but having such a feature in a low cost device like this is a blessing all together since other devices in the same price range do not offer these features. Furthermore, the screen enjoys IPS LCD capacitive touch screen in addition with accelerometer, Compass, Fingerprint, and Proximity sensor. We usually find these kind of features and elements in a mid range phone but finding it all in the Hot 7 surely gives it a wowing factor. Hot 7 is backed up by the 1.3 GHz Quad Core Cortex-A7 Processor in pair with MT6580P’s chipset. The huge battery of 4,000 mAh ensures that you experience no interruptions while you enjoy Hot 7 for multi purposes. 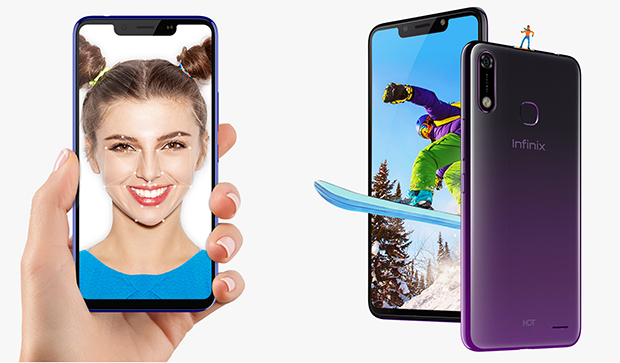 Long-talk calls hour, non-stop video watching and uninterrupted smooth phone operation is exactly what fascinates us, especially when a smart camera is right there in the phone for you to capture non-stop and unlimited photos without having to charge your phone in just a few hours. 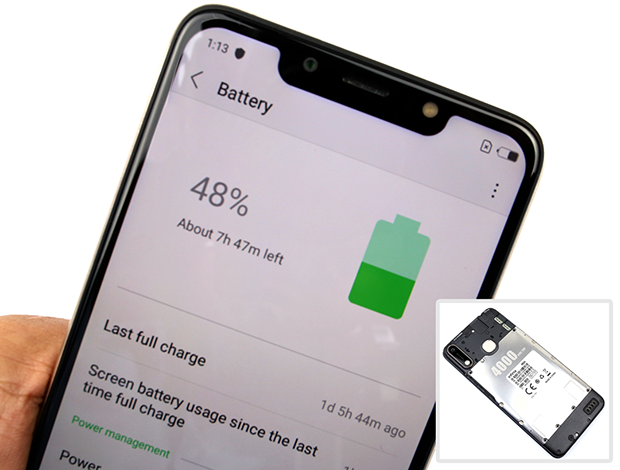 Hot 7 has 1GB of RAM; it would have done a little better if it carried at least 2 GB of RAM, but in our experience with its effective RAM management and Android 8.1 Go edition operating system it does perform like a dream. Hot 7 has low specs and does not feature a Full HD Panel, so basically, the 4000 MAh battery will at least last for 2 days. As for the battery, it is fast chargeable and reliable. Infinix phones are best recognized for their powerful and impressive camera feature. The composition and effects captured by these lenses are supreme in overall quality. In Hot 7, the rear camera contains 13 MP along with a toning flash. The front facing selfie camera has over 8 Megapixels with flashlight; so be it an unplanned adventure or your rendezvous, under sun, moon-y dim or awe-striking dusk’s sky; Infinix Hot 7’s Camera commits to perform unlike cameras which go all dark when brought under lowlights. Image results are vivid and sharp in light however in low-light the results look not that amazing. This is a low-cost phone so it is obvious that we cannot expect a lot from it but we can surely see the phone justifying its position in a positive respect. Committed features, escalated looks and reliable battery pervade triumph; Infinix Hot 7 gets sales-crown among all low-budget phones. The stunner Hot 7 steals your attention especially when its body color is picked right in compliment with your personality. The gradient color variants for the Hot 7 include Gold, Cosmic Purple, Midnight Black and Champagne colors. The audio system has a powerful and clear sound output thanks to the special DIRAC mode; this enables Hot 7 to possess a perfect balance of crispy loud sound which is best for any environment. Are you looking for an efficient, powerful and price convenient phone, uncompromisingly? Well, Hot 7 by Infinix stand a solid match. So Head on to grab your Hot 7, the handsome Infinix’s budget gadget now!